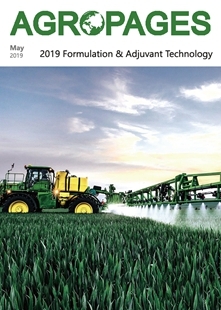 Formulation technology has a vital part to play in the development of efficacious and economical crop-protection products. This includes identifying regulatory-favorable and supply-secure co-formulants that can deliver performance through a wide-range of solid and liquid product types. Also important are strong environmental drivers for more sustainable and safer co-formulants that pose inherently lower risk for producers and end-users. Lignosulfonate is a randomly-branched, chemically multifunctional biopolymer, produced as a value-added co-product of cellulose production. It is derived from biomass, most often wood/timber, as a chemical derivative of lignin. 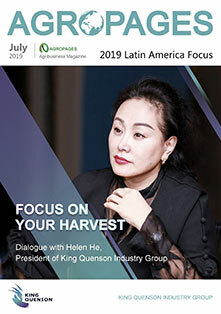 The focus in this article is lignosulfonate produced by sulfite processing, where the product is based on Scandinavian softwood (spruce) and liberated from the raw material (lignocellulose) as a sulfonated water-soluble polymer. The monomeric building blocks of lignin, as well as the sulfonated backbone of a generalized lignosulfonate structure, are depicted in figure 1. Figure 1. Monomeric building blocks of lignin: (1) p-coumaryl alcohol, (2) coniferyl alcohol, and (3) sinapyl alcohol. Structure (4) is a sulfonated monomeric building block of softwood lignosulfonate. Scandinavian softwood spruce is comprised almost exclusively with structure (2) and a small amount of structure (3). It should be recognized that lignosulfonate is established as a non-toxic, sustainable and regulatory-favorable (e.g. REACH-exempt, EPA-approved) performance-chemical that is used in many commercial products and applications. 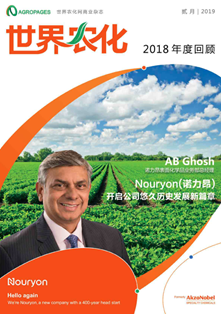 These applications include: plasticizer for concrete; crystal growth inhibitor in lead-acid batteries; dispersant and colloidal stabilizer for dyestuffs; binder for animal feed; and (of main importance in this article) binder, dispersant, complexing agent and crystal growth inhibitor for agricultural formulated products. The common denominator in these applications is lignosulfonate’s capability to absorb at interfaces, thus imparting one or more of a dispersing, binding, complexing and crystal-growth modifying activity into the final product. We now present some examples to demonstrate lignosulfonate’s value addition in various crop protection formulations. A wettable powder (WP) is a comparatively simple formulation supplied as a powder blend of active ingredient(s) with co-formulants such as dispersant(s), wetting agent(s), and filler(s). Lignosulfonate`s main function here is as a dispersant, where it facilitates dispersion of the active ingredient into an aqueous phase prior to spraying. Due to safety concerns, mainly due to their dustiness, WPs are being phased out by the more complex water dispersible granules (WGs) and suspension concentrates (SCs). Despite this, WPs still represent a significant proportion by value of the crop protection formulation market, and lignosulfonate is often the best available option due its excellent dispersing and colloidal stabilizing characteristics for a wide range of active ingredients. Borresperse NA imparts superior suspensibility for many active ingredients and tank mix scenarios. In the case of more challenging situations, perhaps involving multiple active compositions or difficult tank mix scenarios, a more refined lignosulfonate product will usually work well. 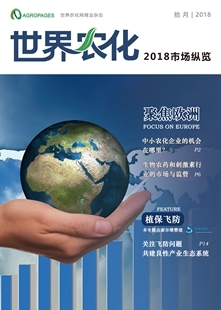 Ufoxane 3A, Ultrazine NA, and Greensperse S9 produced by Borregaard are examples of such products. 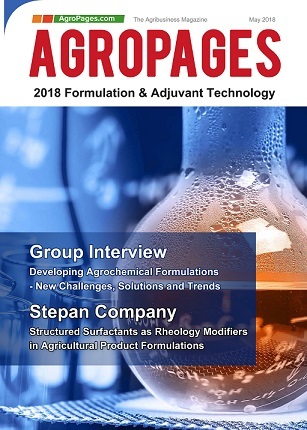 Water dispersible granules(WGs) formulated with multiple active ingredients are now the rule rather than the exception in the agrochemical industry, due to challenges with pesticide resistance, as well as the desire to incorporate different mode-of-action pesticides within the same product. Lignosulfonate is often the best option for spray-dried and extruded WG products containing multiple actives; this is due to its dual functionality as a binder for the dried product and a dispersing/suspending agent for the spray suspension. A successful WGs should effectively bind the active particles together in a matrix that is strong enough to allow storage, handling and transportation of the product, but weak enough so the granules disperse easily in an aqueous tank-mix. This balance between granule strength and dispersibility is controlled through judicious selection of parameters, including the lignosulfonate type/concentration, wetting agent type/concentration, fillers present, and the granule processing route/conditions. For a product that contains multiple actives with disparate physical properties, a refined lignosulfonate such as Ufoxane 3A (low sulfonation, high hydrophobicity) usually provides high suspensibility in standard hard water without compromising the dispersibility. This is illustrated in table 1 for three actives compositions of varying nature (*2 weeks at 54 °C). In some cases, it is challenging to disperse a WG, particularly an extruded WG routinely dispersed in fertilizers or comparatively hard water. A series of functionalized lignosulfonates have been designed to offer solutions in such scenarios. The Greensperse S range contains a comparatively high number of sulfonic acid groups reacted into a lignosulfonate polymer, thus increasing its ionic composition. The following examples (table 2) illustrate, for thifensulfuron-methyl and copper oxychloride extruded granules, the power of using Greensperse S9 for this application effect. Greensperse S9 adds value over and beyond Ufoxane 3A under such challenging tank mix situations. Table 2. Dispersibility of extruded granules in different electrolyte solutions. Comparison between Greensperse S9, Ufoxane 3A and a naphthalene sulfonate condensate. Many active ingredients are formulated as liquid suspension concentrates (SC), and to a lesser extent, suspoemulsions (SE) and oil-in-water emulsions (EW). Lignosulfonate is utilized in these formulation types due to its ability to act as a stabilizer for one or more phases present in the product. In the case of an SC, lignosulfonate functions as a milling aid through its interfacial action; it also acts as a colloidal stabilizer and/or crystal growth inhibitor for the bulk product. Choosing the optimal lignosulfonate for an SC formulation will depend mainly on the physicochemical properties of the active ingredient(s). 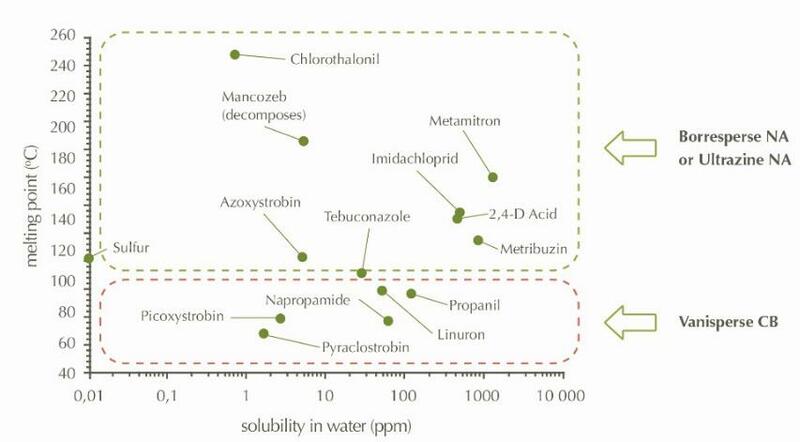 A melting point versus solubility graph is a convenient way to position products (see figure 2). In general, the lower the melting point, the more challenging it is to control against crystal growth in the bulk product. For low melting actives a special product, such as Vanisperse CB, is required to stabilize the suspension. This is demonstrated in the change in particle size data for linuron and propanil SCs before and after accelerated storage testing (table 3). For higher melting actives, Borresperse NA or Ultrazine NA is usually sufficient for providing crystal growth inhibition, rheological control and good dispersing behaviour. Figure 2. Overview of melting point-solubility space with respect to the lignosulfonate product required for stabilization. Lower melting points are a strong driver of crystal growth in storage, and Vanisperse CB is preferred over Borresperse NA. Table 3. Examples of crystal growth stability of some suspension concentrates stabilized with Borresperse NA or Vanisperse CB (*sulfonated naphthalene-formaldehyde condensate, ** 2 weeks at 54 °C followed by two freeze-thaw cycles. While lignosulfonate is often associated with solid formulation types such as wettable powders (WPs) and granules (WGs), we have shown that it can be deployed effectively in SCs. Another widely used formulation is the soluble liquid (SL), which is an aqueous solution of active ingredient(s). This formulation type is traditional to herbicides such as 2,4-D, dicamba, and glyphosate . Lignosulfonate, being a sulfonated, water-soluble polymer can add value to an SL through its natural surface activity and complexing ability. 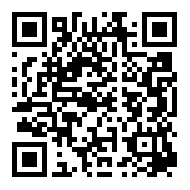 This is particularly useful for controlling against crystal growth when a concentrated product is contacted with divalent cations found in hard water or fertilizers. Table 4 demonstrates the crystal inhibiting effect for a mixed 2,4-D and dicamba dimethylamine SL. The concentrated SL is diluted into a wide variety of lignosulfonate products dissolved in extra hard water (1,000 ppm). The presence or not of pesticide crystals depends on the lignosulfonate product used and its concentration. Vanisperse CB is the most effective crystal growth inhibitor, and this is closely followed by Ultrazine NA and Borresperse 3A. Under this testing approach, Vanisperse CB is more effective than traditional complexing agents such as EDTA and citric acid. Table 4. 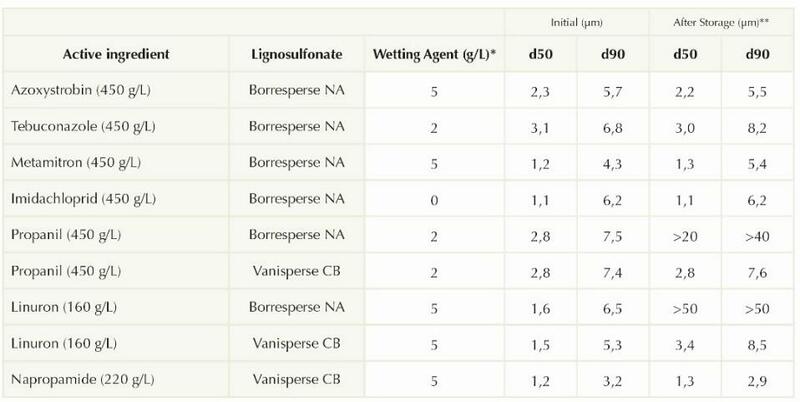 2,4-D and dicamba (dimethylamine salt) SL formulation diluted into different lignosulfonate products and concentrations ranging from high (10%) to low (0.1%). The biopesticide market is rapidly expanding and represents a substantial opportunity for lignosulfonate products as co-formulants. Similar to the conventional synthetic pesticide platform, lignosulfonate can function effectively as a dual binder and dispersant in biological products; its aromatic structure also provides UV protection, which is a key requirement for many biologicals. Vanisperse CB and Ultrazine NA are products that should be tested in biological formulations owing to their excellent UV-protective attributes and dispersive characteristics. 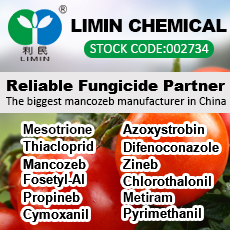 • Lignosulfonate has rich history as a co-formulant for agricultural applications, including both pesticide and nutrient products. 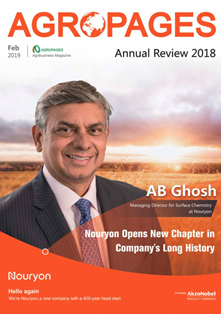 • It continues to enjoy success in solid crop protection products, highlighted by Ufoxane 3A’s role as a superior co-formulant for multi-active WGs. • New product development activity has been directed towards new lignosulfonate products that have specialized characteristics. Borne out of this effort has come Greensperse S9, which aids WG dispersion in hard water and typical fertilizer salts. • Whilst lignosulfonate is often associated with solid formulations, it can also be successfully employed as a high functioning, cost-competitive co-formulant for aqueous-based liquid formulations. 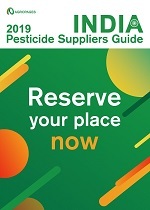 • With the rise in biopesticide development, lignosulfonate is well-aligned to help solve challenges associated with the chemical and physical stability of such formulations.